A group in Nepal is calling for the nation to once again return to a Hindu state. The pro-Hindu Rastriya Prajatantra Party recently launched an initiative in each province to push its pro-Hindu agenda in the country. Currently, Nepal is a secular republic, but support for a Hindu state in the Hindu-majority nation is gaining traction. 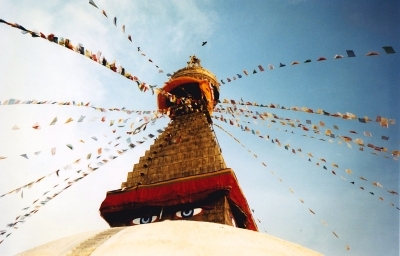 Despite Nepal’s identity as a secular nation, minority religions in the country are often denied basic rights in regards to freedom of religion. The World Watch List, a ranking by Open Doors USA of the top 50 most severe countries for Christians, ranks Nepal at #32. Here, the main source of persecution is religious nationalism. In 2018, the Nepali government introduced further religious restrictions through an anti-conversion law which went into effect last August. Now, some are wondering if the movement to push all non-Hindus out of neighboring India is about to take over Nepal. “The BJP party in India has partners and friends just across the border in Nepal. They want to have a radical Hindu agenda. What that sounds like in practical everyday life is they say you’re not a Nepalese if you’re not Hindu,” says Dr. David Curry, President and CEO of Open Doors. Open Doors has seen restrictions on the faith of Christians living in Nepal. This includes restricting the activities of Christians who want to express their faith, particularly pastors and even mission agencies serving those in need. Curry believes these restrictions are only going to increase. Curry explains how even in more democratic countries, there are still nationalistic movements. That’s why despite the technical freedom of religion in India and Nepal’s constitutions, the countries are becoming increasingly polarized. For example, in India, radical Hindu mobs who are associated with politicians are often given protection from the law. Because of this, these groups are almost empowered, regardless of their constitution, to attack Christians (including churches and pastors) and other minorities. “What they do is they draw out these minority groups, like Christians, and say ‘you’re not really part of Nepal’ so even if it’s a democratic system, the political power is pushing them towards excluding Christians, making life difficult, protecting those that are pressuring them,” Curry says. Please pray for Christians in Nepal, their protection, and their perseverance. Ask God to soften the hearts of leaders in Nepal and India toward Christians and other religious minorities.